When a movies’ release date is continually pushed back that’s usually a sign of a bad movie. Often it shows a studios’ doubt in its appeal for some reason or another, and many a time its resulted in terrible comedies or lacklustre dramas coming out years after production concluded. However, there is an exception to this rule, and that exception is Alpha. The historical survival flick directed by Albert Hughes (one half of the brothers who made From Hell and The Book of Eli), was originally supposed to come out last fall, then last spring, before settling into its late August release date -a time usually reserved for the table scraps of summer movies. Whether it was the conventional nature of the plot or the unconventional narrative devices that made Sony worried about it, I don’t know. But I do know Alpha is a movie that’s a lot better than its studio had faith in. 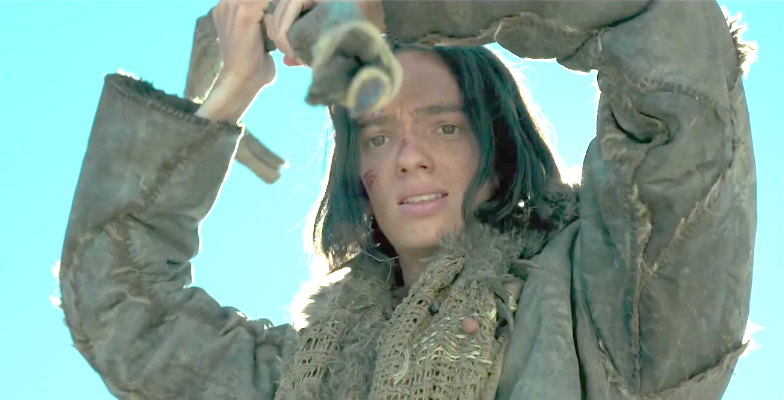 Set in Palaeolithic Europe roughly 8000 B.C., the story follows Keda (Kodi Smit-McPhee) the son of the chief (Jóhannes Haukur Jóhannesson) of an early human tribe, who’s a skilled spear-maker but a rather timid hunter. After a lengthy journey, Keda is thrown from a cliff during a bison hunt and left for dead by the tribe. But he survives and is forced to make the long trek home alone, along the way befriending an injured wolf he comes to call Alpha. This movie feels like the original version of a story that’s been mimicked and spun a number of times. The arc of a prehistoric character having to make a long journey home with the help of a domestic companion has been inverted in movies like Ice Age and The Good Dinosaur, but the straightforward variation hasn’t really existed until now. And though movies like that have made the plot somewhat cliché and unsurprising, Alpha presents that plot better than either of them. It develops the relationship between boy and wolf gradually, with the patience and dignity of a Jack London novel. Indeed with its action-oriented writing and focus on the elements, it feels like a more ambitious London story. There’s very little dialogue in this movie, and what we do get is all in a primitive tongue that sounds like a cross of various Germanic and First Nations languages. That’s pretty bold for a movie with this level of distribution. Cinematographer Martin Gschlacht is very fond of his distant tracking and panoramic shots and is really good at them too, almost single-handedly giving the movie an enormous sense of scale. The untamed wilderness is incredibly well captured, making Keda’s quest seem all the more impossible and the atmosphere generated by this imagery transports you believably into this grandiose environment. The visual effects are pretty well done, the music fittingly epic, and even the 3D is actually used effectively. But none of this would matter a ton if not for the performance that carries the movie. 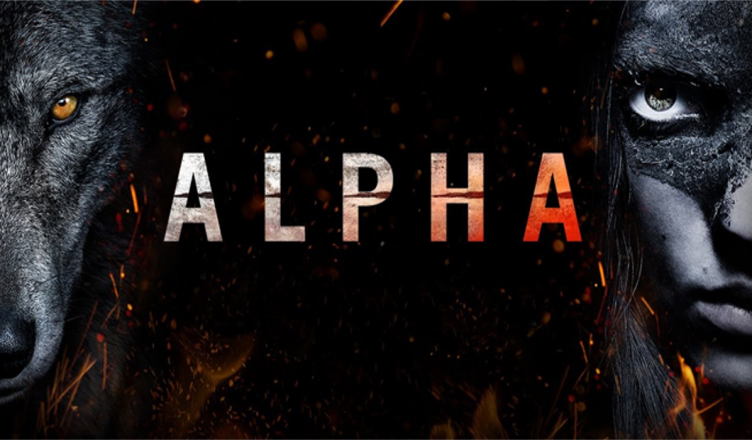 Kodi Smit-McPhee has been a rising star for a number of years with movies like The Road, ParaNorman, and Dawn of the Planet of the Apes, but Alpha is where he fully comes into his own. This is some superb talent on display as he acts, often without speaking, through some really challenging circumstances. This is a true survival movie and he manages all the hardship necessary to convey that and then some. The wolf (“Chuck”) is great too, expressive and intelligent with real personality. Jóhannesson is the only other performer with much of a role; authoritative but friendly, his anguish at having to leave his son is so real, yet he and the others are never vilified for this action which in context is quite sensible. How much you’ll enjoy this movie depends on your barometer for this kind of boy-and-dog story. If you’re too dulled to predictable plot beats regardless of how well their handled, it’s not for you. There aren’t really any surprises to this movie from a narrative standpoint. Where the film enters the story is also just odd, and absolutely pointless but to create some cheap suspense for the first act. And the slow motion moments, of which there are a few, have an unfortunate Zack Snyder quality to them. Alpha’s epic scope combined with its minimalist techniques goes a ways to making a seemingly uninspired story feel fresh again. And at only an hour and a half it doesn’t overstay its welcome. It’s one of the biggest unexpected surprises of the summer, and certainly didn’t need to gestate this long to see the light of day. Because if Sony and other studios had more confidence in films like this we wouldn’t still be hearing about the monotony and fatigue of summer movies.